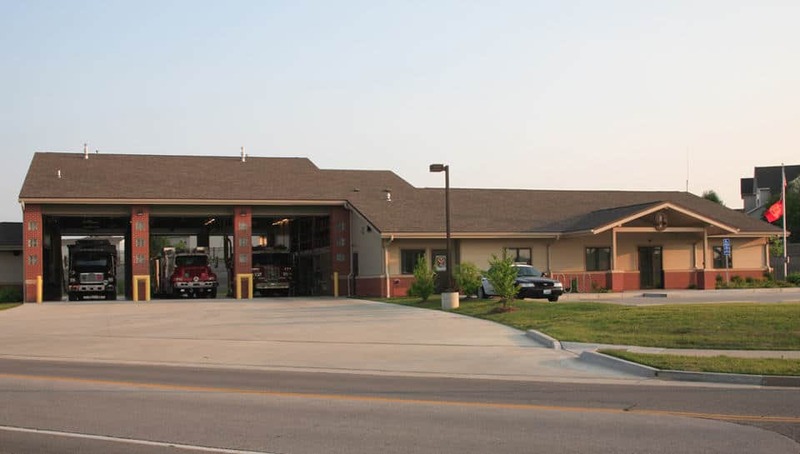 Fire Station 9 - Columbia, MO - PWArchitects, Inc. 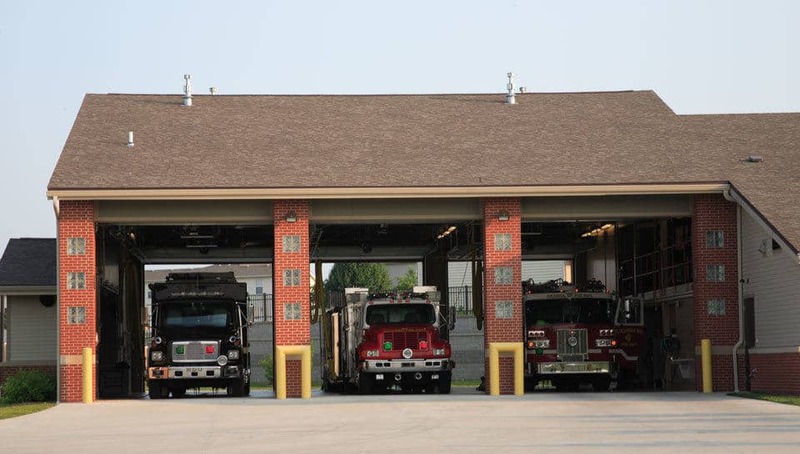 Situated on the Northwest corner of North Providence Road and Blueridge Road in Columbia, Fire Station 9 has become the HAZMAT station in the City’s complement. The structure is constructed primarily of wood framing with structural steel support for the apparatus bays. The exterior is designed in keeping with the residential style and scale of the neighborhood. Exterior materials used include fiber cement siding of two different colors and styles and brick veneer wainscoting. The roof is covered using architectural shingles. Exterior lighting is low level with cutoffs preventing spill over property lines. 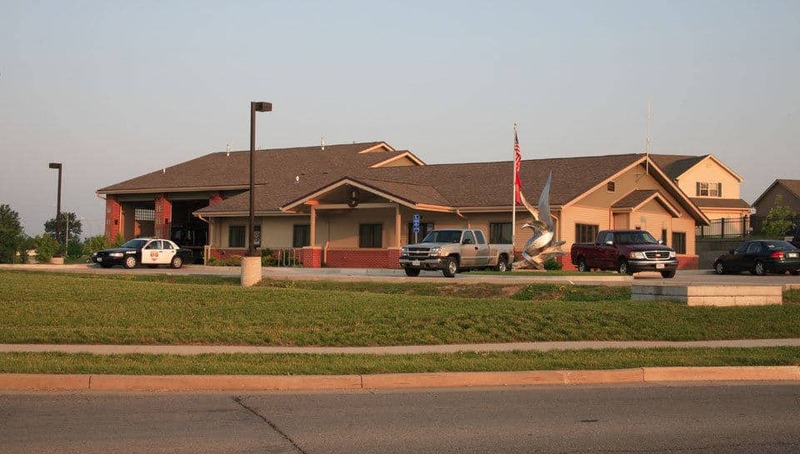 Amenities for the 7,891 square feet fire station include a 3 drive through apparatus bays, living room, Firefighter bunk room, men and women bath facilities, officer quarters, dining room, laundry room, exercise room, watch room, kitchen, patio, and Police sub-station office. The building is protected by an automatic fire sprinkler system and the kitchen range is protected by an automatic fire suppression system. The project is registered as a LEED Gold-rated project as regulated by the United States Green Building Council (USGBC). First LEED Gold fire station in central Missouri. The site includes innovative methods of collecting and cleaning storm water runoff created by the development on the site including a rain garden and bioswale.